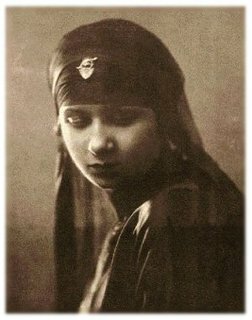 Despite the variations of her name, the Jewelry of Umm Khalthum, (Egyptian Arabic: Om Kalsoum, b.May 4, 1904 – February 3, 1975) was as remarkable as the female Arabic singer's legendary voice. Four important pieces of jewelry formerly belonging to Umm Khalthum was auctioned by Christies at Dubai's prestigious Emirates Towers, on the 28th April, 2009. The auction showcased four items of jewelry, that formerly belonged to the Arabic singer, songwriter and actress. Lovingly referred to as "The Lady of Arabic Song" her name is written in English - "Umm Kulthum" - however there is no absolute correct way to spell the name in English, it all depends on how the English speaker interprets the sound of the Arabic letters he hears. Born in El Senbellawein in Egypt, she is also referred to as “the Star of the East” (kawkab el-sharq). The small group of jewelry from Umm Khalthum's personal collection was auctioned alongside a collection that included rare colored gemstones, natural pearls together with designer watches. The highlight of the Jewelry of Umm Khalthum was an emerald, diamond and pearl set comprising a brooch, a bracelet and a pair of earrings that are estimated to be worth $40,000 to $60,000. One of the items sold was a broach given to Umm Kulthum by the late Shah of Iran on the occasion of his wedding to Princess Fawzia, the sister of King Farouk, the late King of Egypt. The broach was given to Umm Khalthum by the late Shah of Iran (photo Courtesy Christies). A necklace comprised of Natural Pearls from the Persian Gulf were given to her by the founding president of the United Arab Emirates, Sheikh Zayed bin Sultan al-Nahyan and featured nine rows of pearls with multi-colored enamel and white stones. The lady of Arabic singing was so popular that she was often afforded welcomes similar to visiting heads of state. She delighted audiences for hours on end, with her vocal talents. Umm Kulthum's monthly concerts took place on the first Thursday of every month and were renowned for their ability to clear the streets of some of the Arabic world's most populated cities as people rushed home to tune in. Arabic classical music doesn't get much better than this and Kulthum's performances were epic in length, with durations measured in hours rather than minutes. A classical singing performance of two or three Arabic songs, could last for as long as three to six hours. Umm Khalthum, died in 1975 aged 71. Her funeral attracted four million people on to the streets of Cairo. It was possible to view the Jewelry of Umm Khalthum before the auction, as viewing was open to the public at the Jumeirah Emirates Towers Hotel in Dubai.